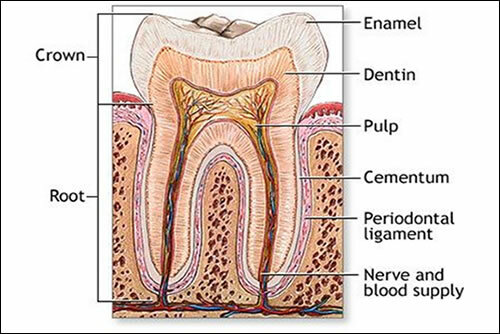 The structure of the tooth includes dentin, pulp and other tissues, blood vessels and nerves imbedded in the bony jaw. Above the gum line, the tooth is protected by the hard enamel covering. 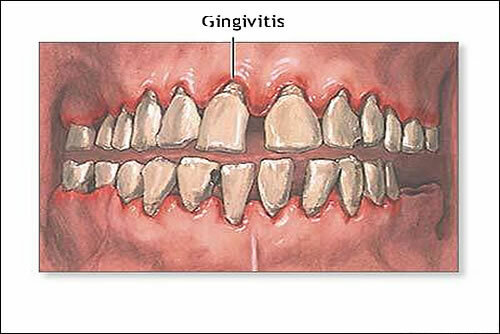 Gingivitis is inflammation of the gums (gingiva). Careful oral hygiene is necessary after professional tooth cleaning. The dentist or hygienist will show you how to brush and floss. Professional tooth cleaning in addition to brushing and flossing may be recommended twice per year or more frequently for severe cases. Antibacterial mouth rinses or other aids may be recommended in addition to frequent, careful, tooth brushing and flossing. Regular professional tooth cleaning is important to remove plaque that may develop even with careful brushing and flossing. Many dentists recommend having the teeth professionally cleaned at least every 6 months. 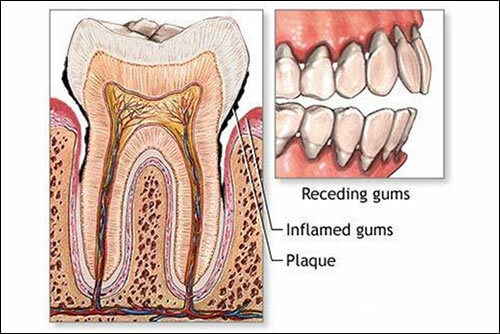 Inflammation of the gums is called gingivitis. Bacteria in plaque around the teeth release enzymes (collagenases) that can damage and erode the gum tissues. The infected gums swell, bleed easily, recede, and loosen from the teeth. Tooth loss is caused more frequently by gum disease than tooth decay.